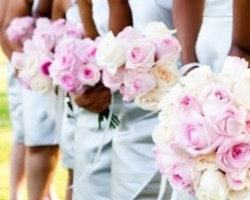 Serendipity Weddings and Events is the love and passion of the owner Carrie Ann. This woman’s creativity and artistic designs have brought countless weddings and special events to life. This consultant works in a unique way, getting to know her clients personally. This allows her to uncover their personal style, likes and dislikes to better help her plan the every detail. Whether you have a party theme in mind or would like her to come up with something unique, she can truly do it all in style. Planning your wedding doesn’t have to be stressful and it certainly won’t be when you have the wedding planning services of The River Club on your side. This event planning service is housed in The River Club. Allison and Amanda are the team that work here to make every event the venue hosts the very best it can be. These ladies will help you organize everything from the décor to the catering and event timing. Knowing they are the coordinators at your event will mean you can relax and enjoy. We are a full-service event production company specializing in wedding planning, bridal consultation & wedding day coordination. 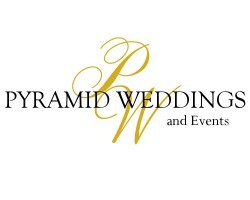 At Pyramid Weddings & Events, we believe every couple deserves to be treated like celebrities. Our specialty is creating one-of-a-kind events that represent the true personality and style of our clients. You will enjoy the planning process and celebrate at your own wedding, while our professional team of event planners handle every detail. You can't think of everything because you don't plan a wedding every day. But we do! Elegant Events by Quen is a local planning company. For any party or event, this team of experts can make your party vision come to life. By paying careful attention to the details, they ensure the big picture is always what their clients want. 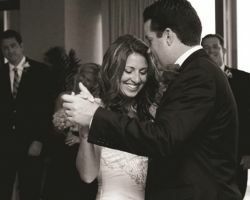 As organizers and consultants, this team works personally with their clients to ensure their wedding day is exactly what they’ve always wanted and then organize it as such. You will be able to enjoy your day and experience none of the stress with this team on your side. Planning your wedding should be a fun part of the entire experience. Master Piece Weddings offers their expertise to brides, helping them to make informed decisions about their event. 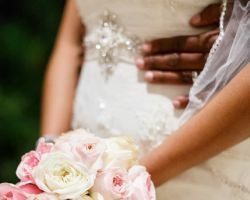 This certified team truly does have a passion for making the wedding dreams of couples come true, which is why they offer a unique and personalized working relationship to make that happen. When you have their assistance, you will be able to truly enjoy the planning process and your big day as they take care of the details behind the scenes. If you’ve imagined experiencing the same luxury and beauty of the celebrity beach weddings that are constantly seen in magazines, then having Complete Beach Weddings help you plan the big day is a must. This team is focused on planning extravagant destination and beach weddings in Florida and beyond. With affordable packages, you can feel like an A-list star while staying on budget. This company will work with you to go through your wedding checklist, ensuring everything is taken care of so you can enjoy getting married. 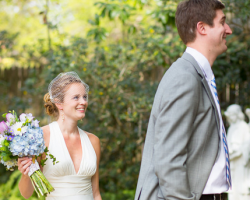 Growing up in Florida can mean that a beach wedding is something that feels the most natural. If you would like to have a romantic ceremony in the sand then Sun and Sea Beach Weddings can help you plan the entire thing. 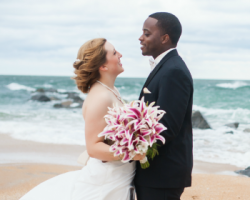 These wedding planners in Jacksonville, FL specialize in planning intimate beach ceremonies and beautiful receptions. You are guaranteed to have a gorgeous background with the waves crashing on the shore behind you while you promise forever to your partner.